Wayne Rooney has finally caught up with Sir Bobby Charlton as Manchester United’s all-time leading goal scorer with a tally of 249 goals, after netting the opener in a 4-0 win against Reading at Old Trafford in the FA cup. This goal had been long time coming, and it happened at the perfect stage, in the presence of Sir Alex Ferguson, Sir Bobby Charlton and an almost full capacity Old Trafford crowd cheering the team on towards the next round of the FA Cup. With Rooney reaching this historic moment, here is a look at 5 reasons which prove why he is among the best and greatest players to have worn the famous red jersey of Manchester United. 249 to be precise, Wayne Rooney is just a goal away from becoming the club’s all-time top goalscorer, and that stat is more than enough to speak for itself, and the volume of contribution of this player towards his team. With his first goal for the club ending Arsenal’s invincible journey, the run from there on has been quite a spectacular one for Rooney, with outstanding goals over the years. The overhead kick against rivals City certainly stands out as one of his finest ever for the club. Rooney has never been a player to go out and grab all the headlines for himself. Over the years, despite his achievements and great contributions, Rooney has always preferred to play the role of second best in the team, and support that one main man to take away all the news and glory. Forming sensational partnerships with players like Berbatov, Tevez, Van Persie, and of course, Cristiano Ronaldo, Wayne Rooney quietly went about his business and helped these names become club legends, as he did the same for himself gradually. Wayne Rooney arrived at Old Trafford as a teenager eager to achieve greatness, and that is exactly what he did. Over the years, he developed and matured into a player worthy of leading the line of one the greatest attacking teams in the world, and scoring goals at crucial times for Manchester United. With passion, dedication, and performances, Rooney finally earned his reward as Club Captain of United, and it is fair to say he deserves all the credit given to him. It is fair to say nobody achieves greatness without seeing the darkest of days and time. The same can be said about Rooney and his career at Old Trafford. Despite being one of the greatest, the England striker has always been under criticism and dirty eyes of the media for untimely poor performances and lack of drive on the field. 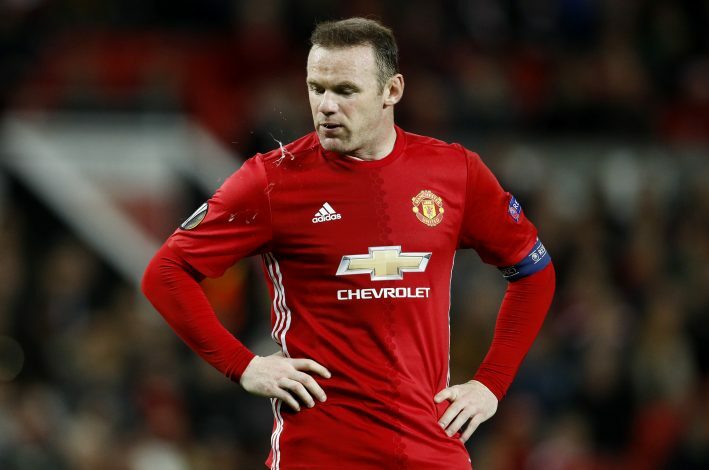 The captain has been booed by his own fans, treated harshly by Sir Alex Ferguson, and even kept away from the squad lately by Jose Mourinho, but being the professional that he is, and wearing the club badge with pride, Rooney has always stuck around to prove his haters wrong. He has never failed to deliver, and popped up with performances and answers that silenced those criticising him. It is one thing to manage to become a club captain and its leading goal scorer, but to go ahead and do the same thing for your country is something very few might ever be able to do. 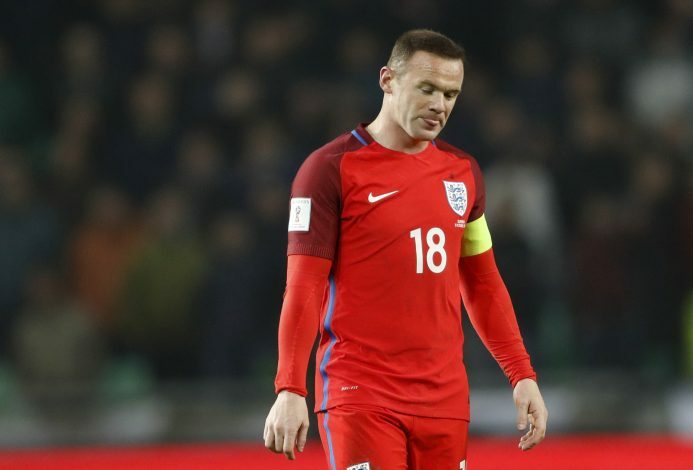 Rooney can proudly boast about this achievement and hold his head up high, as he not only captains United, but also the England Football national team. Whatever said and done, there is no denying the footballing genius that Wayne Rooney is, and we all hope to see that one goal come soon, which will take him to the top of the goalscoring charts as a United player – a place where he will be for a long time to come. 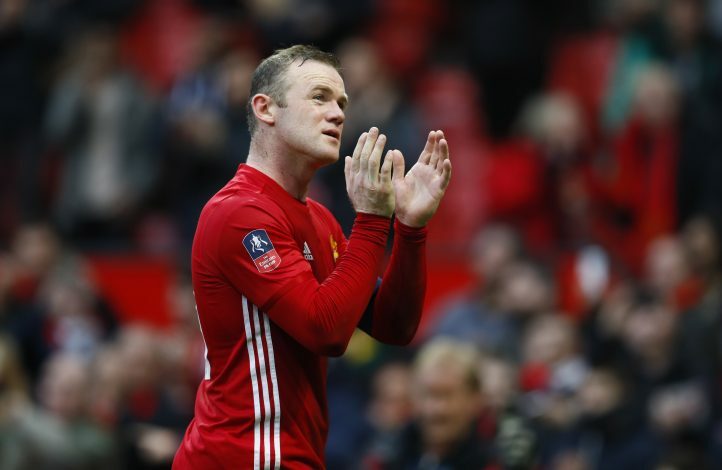 Wayne Rooney is a Manchester United hero, legend, and icon.